As you know I recently went on trip, and that means it’s time to eat healthier. If you have seen my Seattle Things post you can tell I over indulged, so today’s recipe is a healthier dessert. But wait, it taste good! So I live in Texas and that means it’s deathly hot. You don’t know hot weather until you’ve stepped foot in Texas. It’s over 100 degrees every day, so naturally I made ice pops. These aren’t just any ice pops these are piña colada ice pops. Needless to say, they’re delicious! These are all the ingredients you will need. Shhh, don’t tell people you only need five (the banana wasn’t aesthetically appealing, lol) ingredients to make this simple dessert, you want them to think you put an unbelievable amount of effort ;). Put all ingredients in blender EXCEPT the extra pineapple chunks. 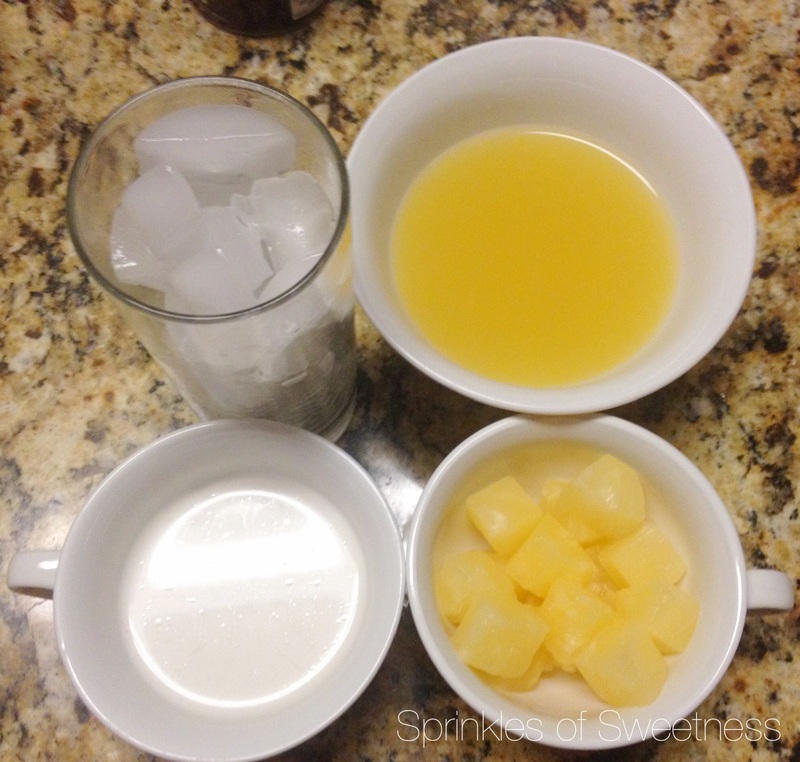 Place remaining pineapple chunks in mold and then pour mixture over (refer to notes for other option). Allow pops to freeze for 24 hours or more. You can also make this a drink, that is what I was originally doing. However, I had a lot of extra so I decided to pop them in ice pop molds. To make the drink place all the ingredients in the blender, and enjoy! I didn’t use a sweetner because my banana was pretty ripe. If you don’t have ice pop molds, just place the mixture in small cups, cover with foil, and then place popsicle sticks. These can stay in the freezer for up to seven day. Hooray for pina colada pops on a hot day, the best summer cocktail is portable and ready to be enjoyed anytime 🙂 love it! Thanks, Katalina! Something about ice pops make everything better :).